Last updated: July 14, 2018 at 10:57pm by Savanah – Their hasn’t been much gambling news in TN lately, but the Senate and House did pass a bill to regulate and legalize daily fantasy sports (DFS) betting. The bill was signed into law by the Governor on April 27, 2016, and DFS operators are now paying a $50,000 license fee and are taxed 6% on revenues from Tennessee players. The state lottery set another record in sales for the 12th consecutive year. Total sales were $1.657 billion in 2016 (latest numbers released). State officials are working on some proposals that would authorize casino gambling, they are still doing studies, since it’s currently not allowed. Since Tennessee doesn’t offer any commercial or tribal casinos, the increase in lottery and charitable gaming revenue has only helped open the eyes of state officials for gambling expansion. The State of Tennessee is pretty strict when it comes to gambling in general. A perfect example is most states have Indian casinos or horse race tracks where you can gamble legally, but Tennessee has neither. Even with that being said, there are no specific laws stating it is illegal to play poker on the internet. Go to our homepage to learn more about what online poker sites accept players from the USA. This article is intended to focus just on the state of Tennessee. As you can see they take a hard stance on casino forms of gambling, and still consider poker a game of “chance” rather than “skill” which is a very debatable topic even to the top government officials. Tennessee has been known to raid higher-stake poker games when it reaches a certain level but there are no known records of fining or arresting those who play poker online, at least no records we could find. A large debate for Tennessee officials about legalizing online gambling is the concern of whether or not their State Lottery revenues would decrease. The reason this is such a hot topic is because the Tennessee Lottery contributes a lot of money to educational programs and scholarships, $3.9 billion to be exact since its inception in 2004. This debate will only continue to grow as bills and laws get written and passed to officially legalize poker on the internet, and do away with all the current gray matter on this subject. It would be nice to have everything in black and white, and each year it seems we get closer and closer to that wish. 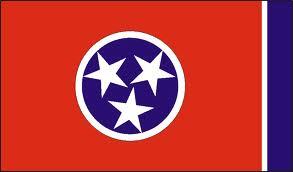 State Lottery – The Tennessee Constitution forbids lotteries, but it was amended to allow for the state-run lottery. The Tennessee Education Lottery Corporation, their website is pretty flashy but well updated with current information, and runs the state lottery which is consisted of a board. The board may choose the types of games used by the lottery, which may include online games, instant lotteries and other traditional lottery games. However, video lottery is prohibited. Tennessee has probably some of the more strict rules and policies on charitable gambling. Some of these rules include; an organization is only allowed to conduct one event per year, a 501c3 must be active for at least five years to qualify, and only two organizations can have an event at the same location in a given month. Pretty strict rules if you ask me. In the 2014 fiscal year, charitable gaming in Tennessee grossed $8.3 million.